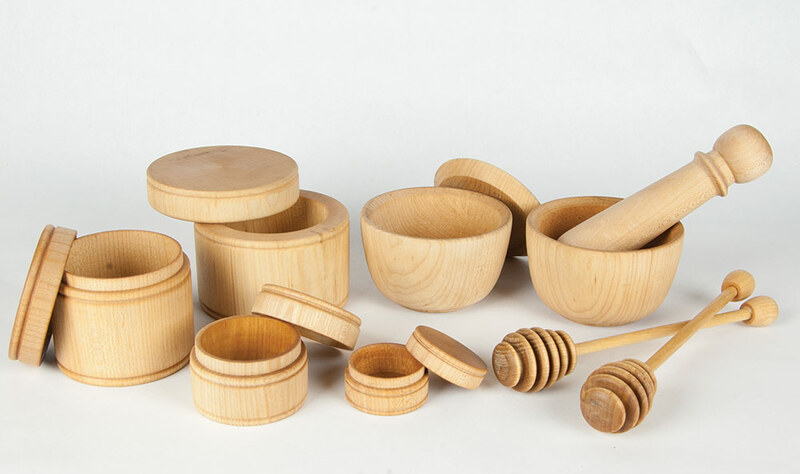 Our Wooden Cooking Accessories help complete your kitchen. Fletchers’ Mill Wooden Cooking Accessories and Tools offer a high quality, Made in USA option to complete your kitchen. From bowls to biscuit cutters, tart tampers to cocktail muddlers, we offer a wide selection of tools to assist your cooking and baking endeavors! Silicone heads and premium hardwood handles in a variety of shapes and colors. Premium hardwood cups perfect for prep and presentation. Perfect for all dry “Spice Rack” items. This 2.8" diameter round Biscuit Cutter features a sharp edge to make biscuits like your grandmother used to. Making great cocktails is an art. And this medium, like most, requires good quality tools. Grind your own in small batches for healthy, fresh cooking. Whimsical, solid wood card holder for the counter. Minimalist design coupled with chrome makes this stand an easy fit into any kitchen decor.